Northwest Iowa Community College is a progressive learning college rapidly responding to the global needs of our changing community. We are driven to be the community college of choice for lifelong learning, personal development and re-training. We believe that as a comprehensive community college we will respond to our communities’ needs. We believe that all people can learn. We believe that education is an investment in our communities. We believe that accessible, lifelong educational opportunities enable people the opportunity to maximize their potential and improve quality of life. We believe in embracing diversity by supporting the dignity and worth of all individuals. We believe in maintaining high standards through innovation and continuous improvement. We believe that effective leadership, education, training, and partnerships from all sectors enhance community and economic development. We believe that responsible stewardship ensures fiscal stability. We believe in embracing a growth-oriented philosophy. We believe in maintaining high ethical standards. Northwest Iowa Community College is dedicated to enhancing student success by facilitating processes where every individual can realize his or her full potential through learning. Northwest Iowa Community College will pursue, strengthen, and expand learning opportunities for our students and communities through partnerships and new initiatives. Northwest Iowa Community College will aggressively pursue alternative resources that will sustain and augment programs and facilities. Northwest Iowa Community College faculty, staff, and administration are devoted to enhancing collaboration and communication that will support the College’s belief system. Do you want to be a Teacher or a Doctor? Do you want to be an Electrician or work in an IT Department? It all starts at Northwest Iowa Community College!! In the Career and Technical Programs at Northwest Iowa Community College, we talk a lot about skills and hands-on learning. If you choose to be in one of our technical programs, you’ll learn that your success is all about the hands-on skills you get while you’re here. You’ll work on equipment in labs that are state-of-the-art. You’ll be guided by instructors who have been out there in the real world. They’ll teach you what you need to know. So whether you’re interested in auto body or powerline; maybe you want to be a mechanic, an electrician or a nurse; if business, engineering design, construction technology, or secretarial is more your style, you’ll find it at NCC. We’ll prepare you for the workforce. You’ll graduate with solid skills and abilities that will land you a job with the confidence to make good decisions with your career. Many of NCC technical programs transfer to 4-year colleges and universities! Start here, then go out and make your goals a reality! NCC also offers Arts & Science transfer programs. It makes sense. Start here by taking the basic core courses. For two years you’ll save a lot of money and stay closer to home; then you can transfer to a 4-year college or university. Want to be a journalist or a teacher? Maybe you want to be a human resource manager or physician. It’s all within your reach when you choose NCC. NCC has seamless transfer agreements with the University of Iowa and Iowa State University! Many of our students transfer to the University of South Dakota, South Dakota State University, Buena Vista University, Northwestern College, Dordt College and more. 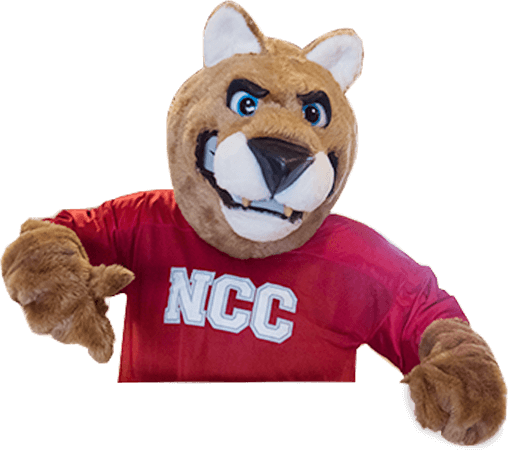 NCC has a transfer specialist to work with you in order to create an easy transition from earning your Associate’s Degree at NCC to earning your Bachelor’s Degree at your preferred College or University. College is more than just books! It’s about life. Making life-long friends and being part of a college community! Just a short walk from classes, student housing at Northwest Iowa Community College is made up of four housing complexes that provide apartment and suite style living. We invite you to live at NCC and join our great campus community. There is no better way to be connected to the College, the campus, and the student body than living on campus. Campus life puts you in the middle of all the action! Whether it is sitting in the hallways for hours talking to your friends or having study groups to get you through that class or having a midnight “McD’s run”, life on campus is a great way to experience college and make friends. You’ll experience college life as it is meant to be and build friendships that will last a lifetime! In 2015, NCC’s graduate placement rate was 96% and the average first-time salary was $33,301! Many of our highly skilled specialist programs have consistently had 100% employment success for their graduates. The NCC Placement Office offers lifetime placement assistance for its graduates. Northwest Iowa Community College is accredited by the Higher Learning Commission, a regional accreditation agency recognized by the U.S. Department of Education. In addition, several programs have been accredited by other agencies. All information on accreditation can be found here. What you learn as a student at Northwest Iowa Community College is the very heart of the educational process. Northwest Iowa Community College has established a comprehensive on-going assessment program that assesses learning throughout a student’s college experience. The goal of this assessment program is to verify the extent of student learning at different levels including the course level, the program level, and the institutional level. General education learning outcomes are also assessed under this program. The results of assessment activities are used to improve both teaching and learning. Northwest Iowa Community College is committed to providing students opportunities to acquire the knowledge and skills that will enable them to graduate, continue their education, pursue the careers of their choice, and be productive citizens. To meet this educational goal, all programs at Northwest Iowa Community College will encompass not only program-specific learning outcomes but also general education learning outcomes in the areas of Personal Development, Global Perspective, Critical Thinking, Written and Oral Communication, and Math. These learning outcomes are taught and assessed in classes, labs, field experiences, and other co-curricular activities. Northwest Iowa Community College recognizes that active advisory committees are vital to quality education. All NCC credit programs have an advisory committee made up of representatives from the specific occupations or institutions. The individual advisory committees assist in identification of instructional content and providing advice, suggestions, and recommendations. The Northwest Iowa Community College Foundation is a non-profit corporation established in 1983. The NCC Foundation Board of Directors consists of individuals representing each school district in the College service area. The mission of the NCC Foundation is to attract and manage financial resources, enhance awareness of the College, and to support access to lifelong learning opportunities. Annually, the Foundation funds scholarships to individuals pursuing higher education opportunities at NCC. Complete information regarding individual scholarships is found in the current Northwest Iowa Community College Foundation Scholarship Opportunity Guide. This guide is available through the NCC Foundation Office, Admissions Office, through area guidance counselors, or by clicking here.